▲The original ICS calbe is too expensive. But you have to get one if you want to setup your ASF/Ad band/dNaNo PCBs. 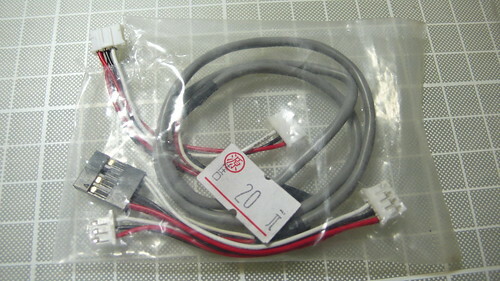 Though this generation of ICS cable is changed, it uses USB interface.But in fact it is the same with the older RS232 version -- It only added RS232 to USB circuit. 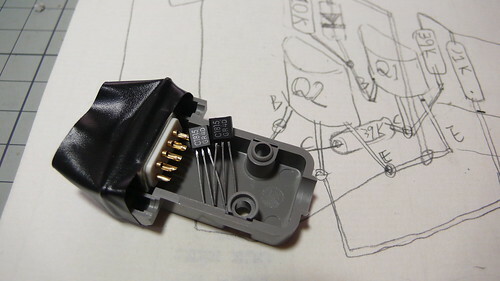 So If you want to make this cable by your self, just make a RS232 version like the older one. 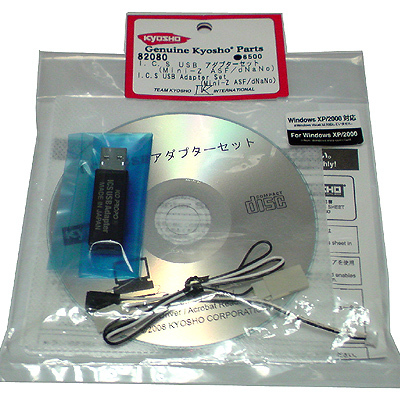 And if you have no RS232 on your computer, just buy a RS232 to USB adaptor , connect to the RS232 ICS cable, and it will work like the original USB ICS cable. At first, Let's see the ciruit inside the ICS calbe. 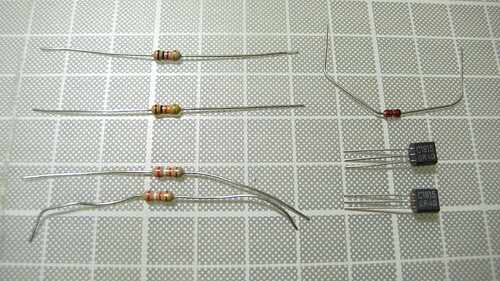 There are only two transistors, few resistances and diodes inside. These may take no more than 1 dollar. 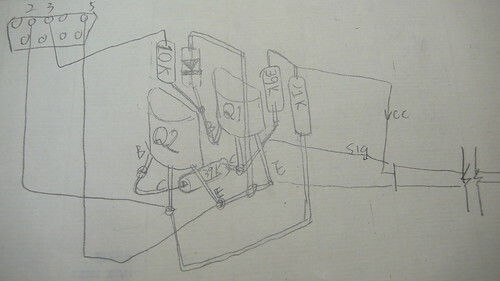 And this circuit is not very special,too. 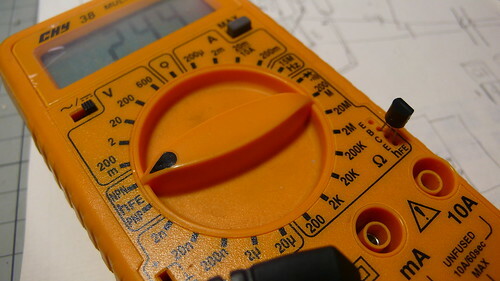 It only convert the voltage of RS232 signal to the voltage of MINI-Z. I have no 2N3904 in hand, so I replaced it with 2SC1815. Both of these transistors are OK.
We need a RS232 9pin female connector for computer. Take a cable which has at least 3 lines. I use a PC CD-ROM calbe. I didn't have the connectors for MINI-Z/dNaNo while I took this photos, so we got no photos here. These are standard male connectors(JST ZH series) with 1.5mm pitch. Ad band uses a 3pin connector, and ASF/dNaNo uses a 4pin one.You may find them on a "electronic store"(? ?don't know how to said that), or buy on the net. 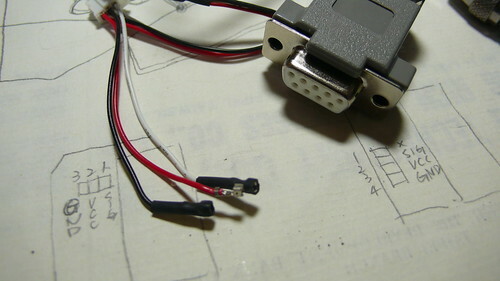 We'll try not using a PCB, just wire the components and place it into RS232 case directly. 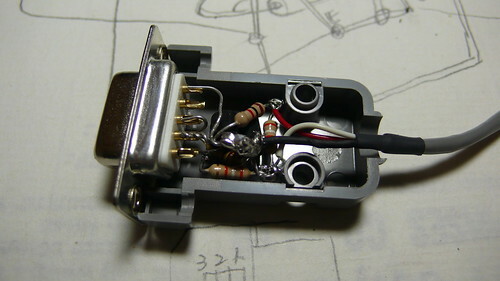 Let's see the 2 most complex components: the transistors. 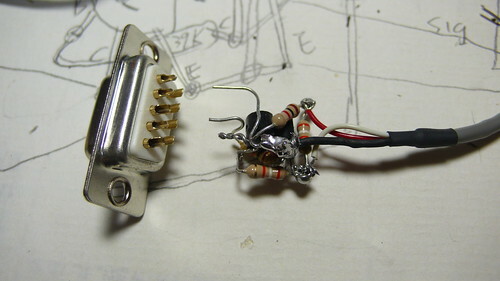 ▲It would be better to make some drawing before we really start to wire. 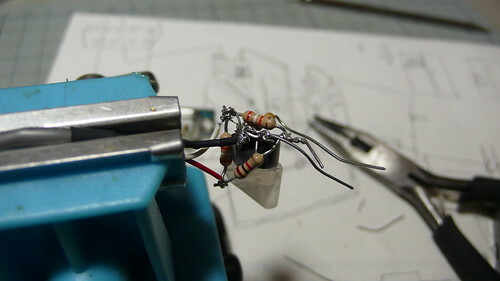 ▲Wire the componets and prepare to solder. Last edited by dabinn; 2009.04.14 at 11:06 AM. ▲Solder the RS232 pins after confirming the circuit fits the RS232 case. 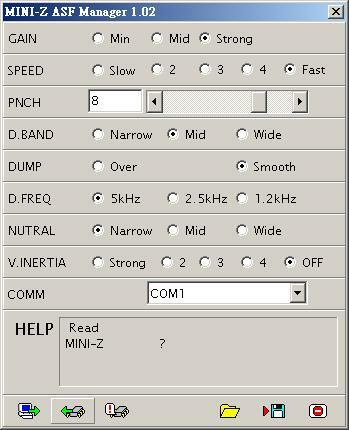 ▲Read the settings from mini-z successfully. Test completed, some more works to do. ▲Use hot glue to fix everything. ▲Tie a knot on the cable and close the case. 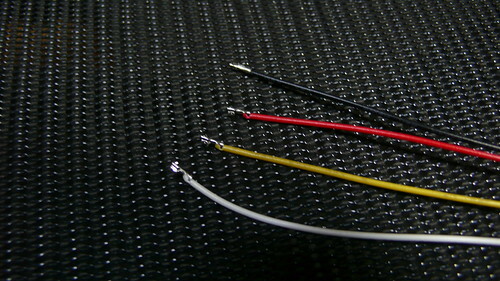 Now we have our own ICS cables. 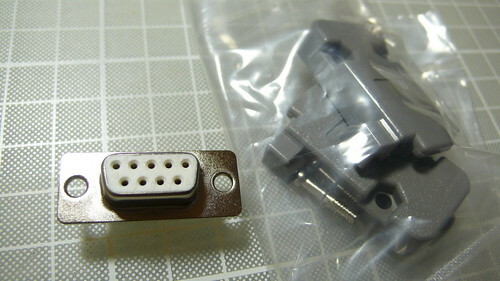 I'll take photos for the MINI-Z connectors latter. Holy cow, this is some REALLY good stuff. 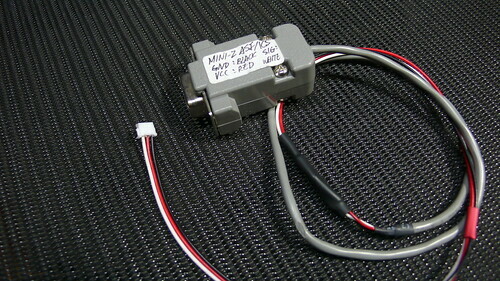 Can't wait till you have the right plug for the Mini-Z interface! Bit late since I bought the cable this weekend. 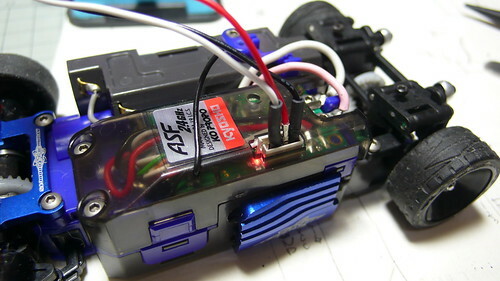 But great support to the comunity and hopefully kyosho will drop their prices for the cables dramaticly now. So If I get a serial > USB cable, would I still have to take care of the voltage or will the USB connector take care of that? Then I could just connect the cables in the right spots and be done, no? 1.5mm pitch. 3pin is for Ad Band, ASF/dNaNo use a 4pin connector. 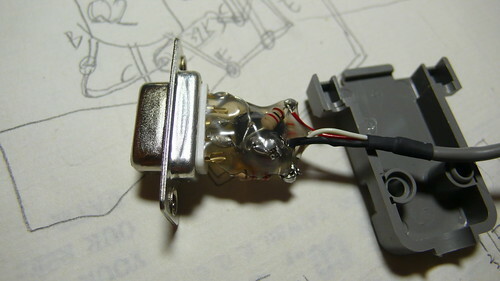 ▼We would better buy wires which have already crimped with terminals. Because it's not easy to crimp small terminals like these, and a specail tool is needed, too. 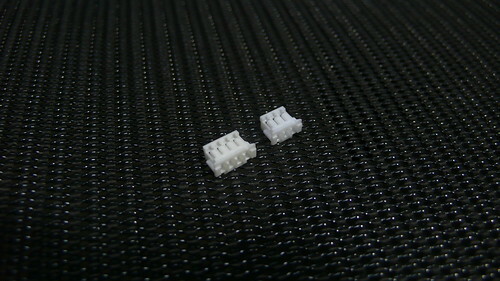 These terminals are especially for the 1.5mm connector. 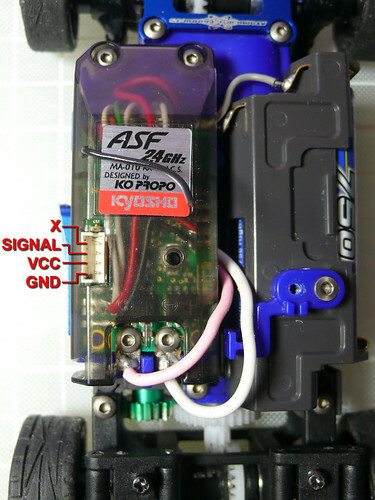 So no need to worried about the voltage between MINI-Z & USB, because we have already converted it into RS232 level. What I was asking is whether you can attach ICS cables to the serial-usb adapter straight and avoid making the ICS-serial cable. Last edited by dabinn; 2009.04.14 at 09:41 AM. Only thing I doubt is them having a serial female that you could disassemle/casing for it. Might dig around the house for straight up cables first. 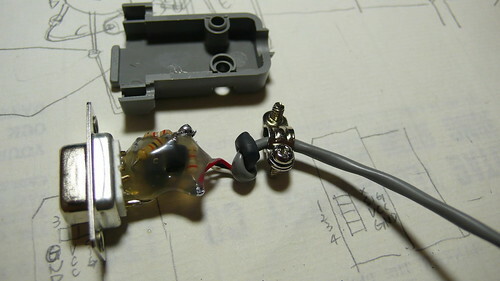 i wander if this cable (ASF/AD) also work on RV project(Atomic) electronic board, coz i got one.. it have a 3pin male connector on the pcb, should it be the same with the AD-band cable??? 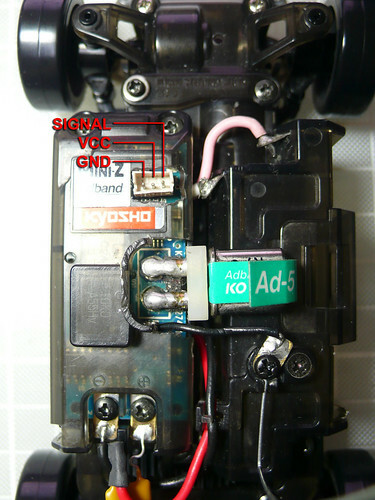 can i program it with the kyosho software>? Fabulous post! Thanks a lot for the info! Sorry, I am not familiar with this board.